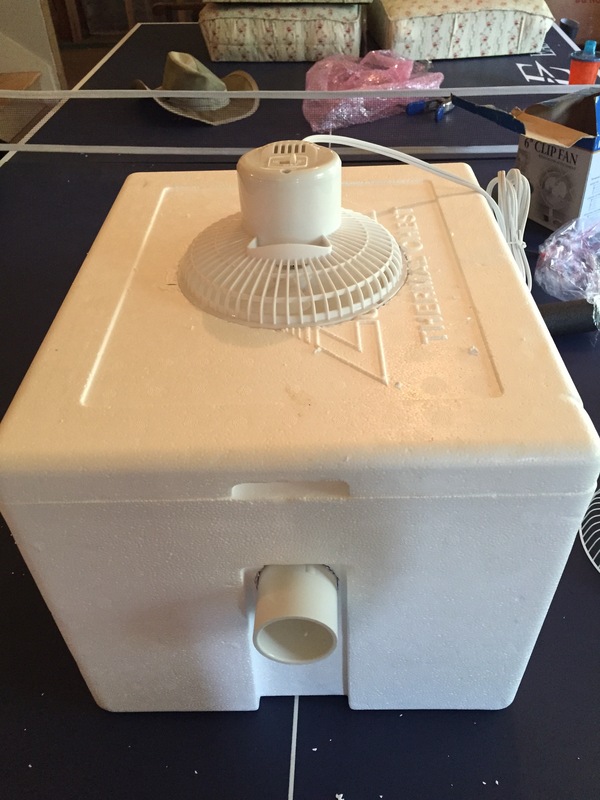 DIY air Conditioner for under $10 – Three Daughter Dad! 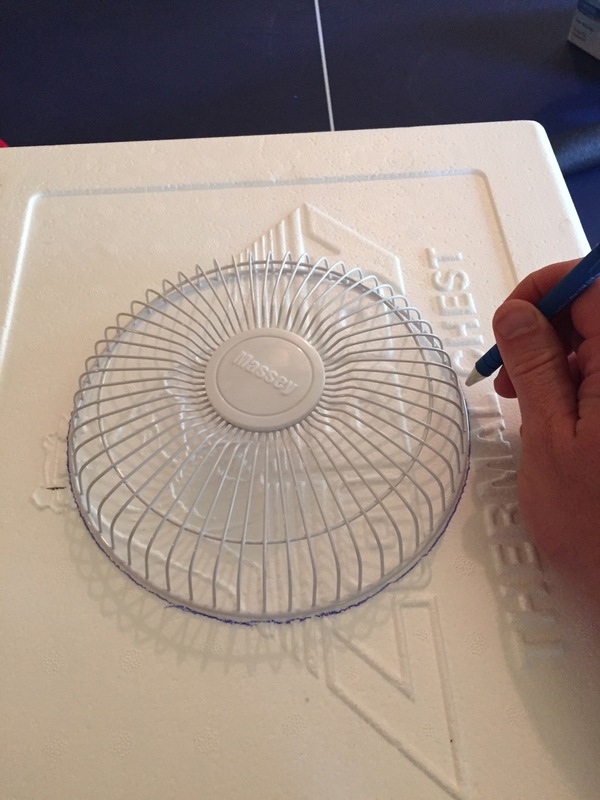 There are lots of post on this simple DIY ac unit. I plan on taking this on my next camping trip to provide a little comfort at night. Aside from the 57 degree air it blows out, it provides a nice level of white noise from the fan. All you need are a few supplies. (You can get all of the for under 10 dollars. 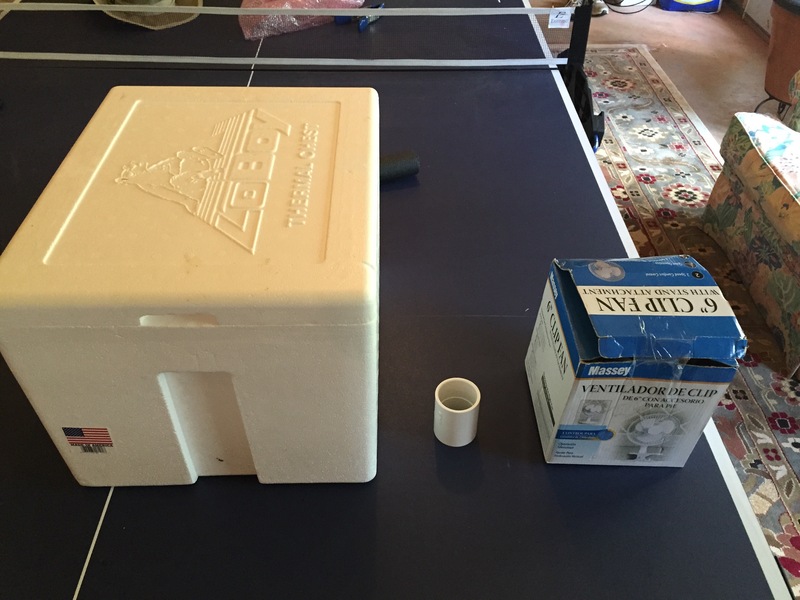 -Foam cooler (plastic igloo type cooler would work as well). 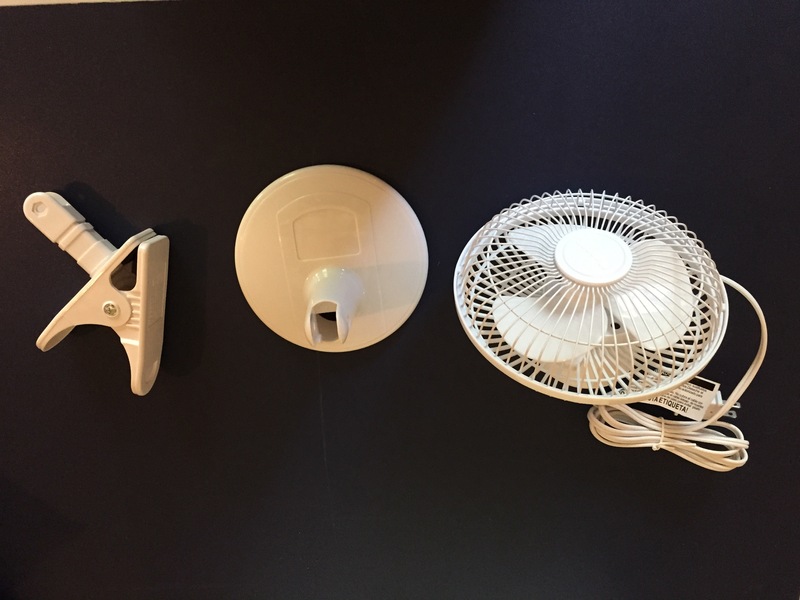 Fortunately the fan is not assembled so you diagard everything but the main fan unit. 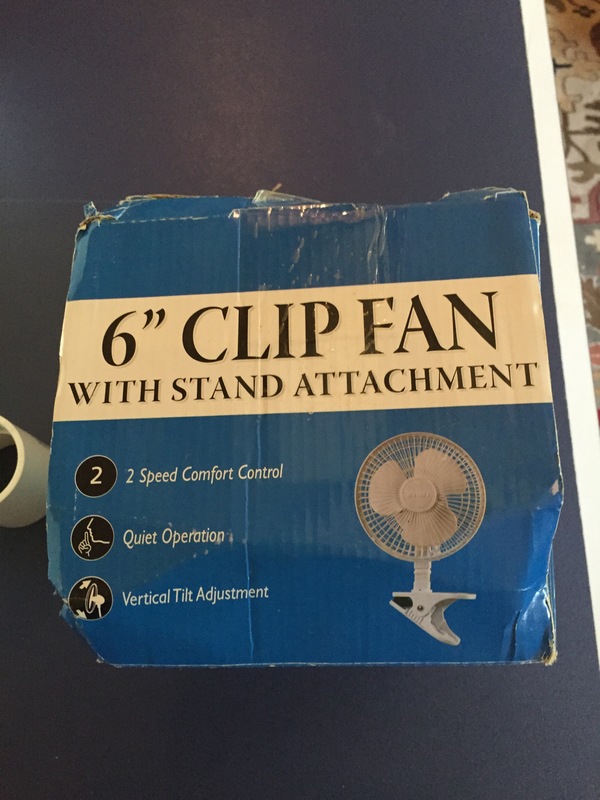 I did use the front shroud as my template for the fan cutout in the top. 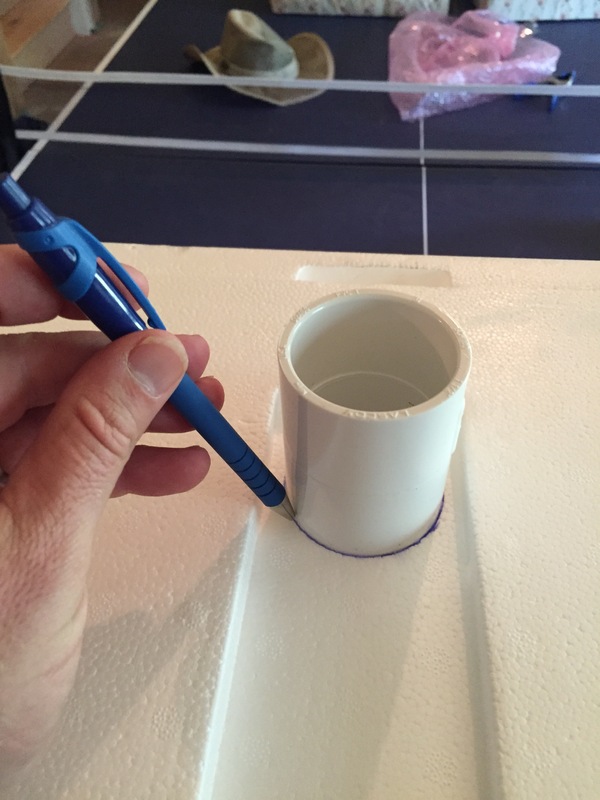 Repeat the same thing on the side with the 1″ connector. 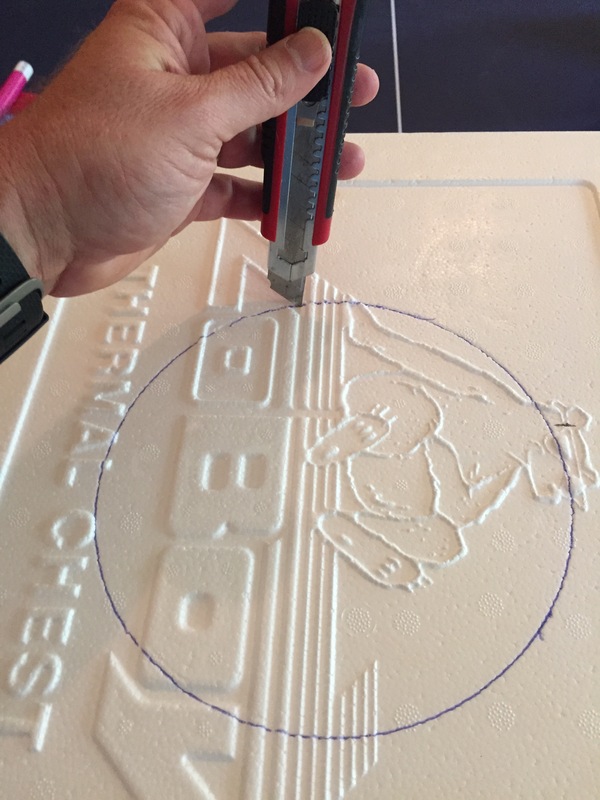 Use a razor knife or some other sharp object to cut out your circles. 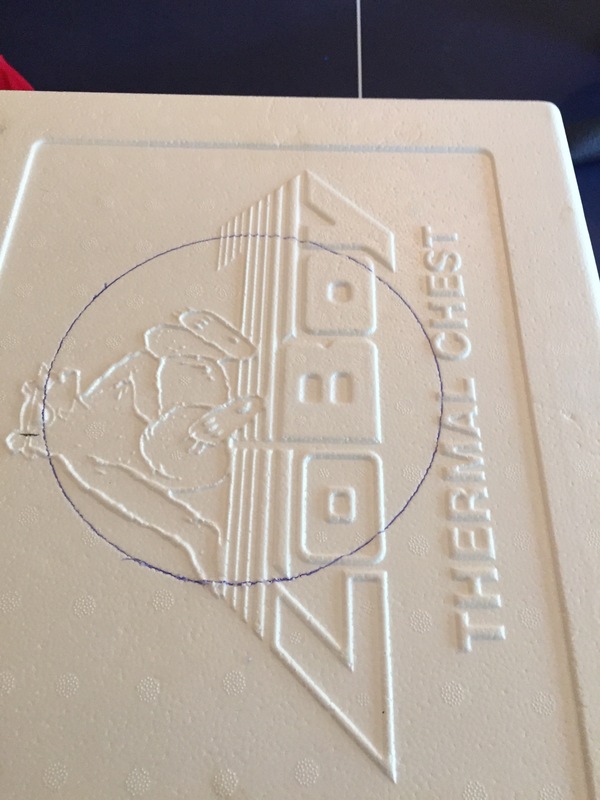 With a little hot glue to secure, Insert the fan in the top hole and the connector in the side. You will end up with this. 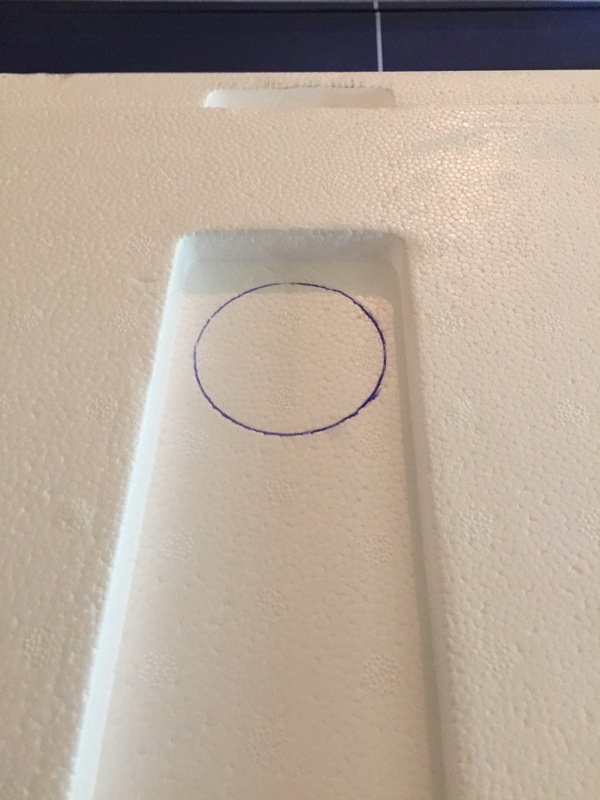 Load the cooler with ice or frozen bottles (bottles don’t distribute as much moisture), turn in the fan and you’ll get a nice steady stream of cold air. 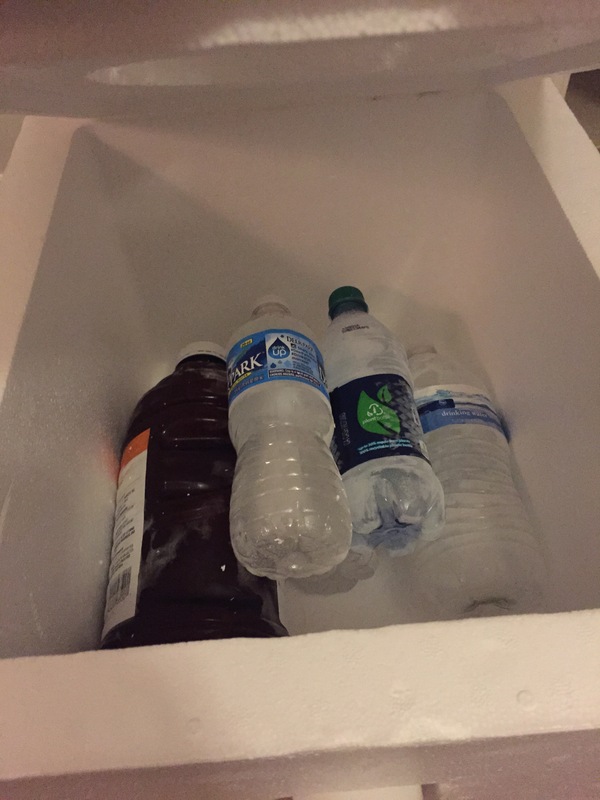 My test was over night and the bottles shown were still cold with a few of the bigger bottles still partially frozen. I’m thinking 4 two liter bottles would definitely provide cold air for 6-8 hours easily. 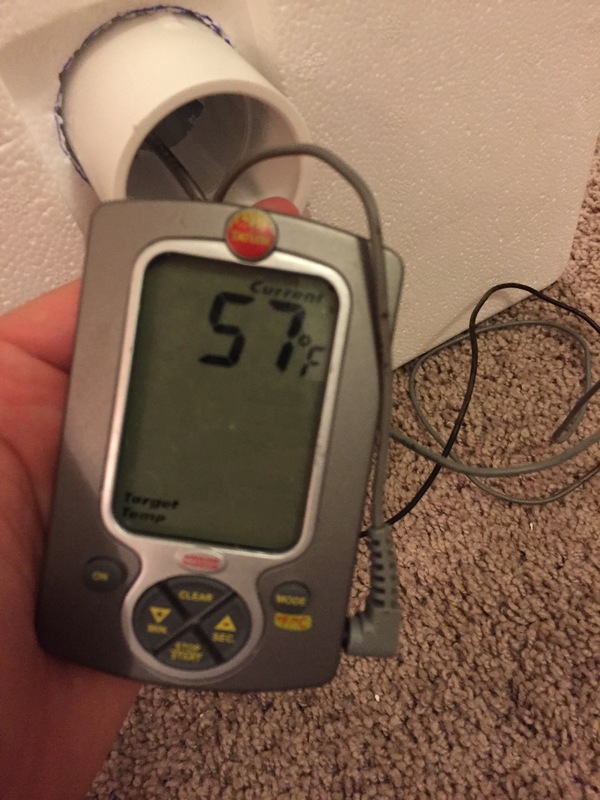 Here is my digital temp gauge measuring the output temp. 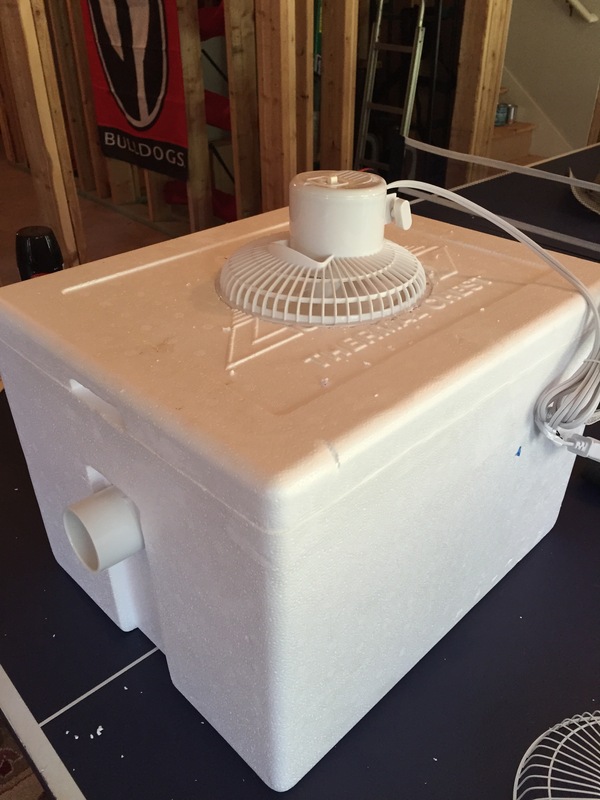 Did you ever have a chance to make the diy ac unit?